For so long I have tried to get my hands on this palette but it’s constantly out of stock. Back in December when I saw it was back in stock directly with Violet Voss I couldn’t part with £90 for a palette it didn’t make any sense. (This palette would come to £90 with postage and custom fees) Especially as it was previously available to buy from beauty bay for £45.00. I contacted beauty bay to check if they would be restocking it and they sadly told me they weren’t. From my understanding there has recently been a problem between the two companies. I was seriously left in two minds about parting with the money and just ordering it, but right before Christmas I decided to give it a miss and maybe next time. A few weeks later they announced a UK stockist and when my husband said he’d buy it a present from my 21 month daughter I was over the moon! The Holy Grail palette is filled with 20 eyeshadows in metal, matte and satin finishes. From looking at the pictures you can tell it’s a warm toned but I think anyone into eyeshadow will find something they personally love. It comes in a cardboard box the packaging has been changed recently. I personally liked the old matte black more. I think it made it look that little bit more expensive and classy. I’m a sucker for pretty black clean packaging. My favourite shades are, Ploof, Awesome Sauce, Bestie, Toffee, How U Doin, Bat My Eyes, So Jelly, Teddy Bear, Glamping and Cranberry Splash. How Cute are the names of each shadow also? 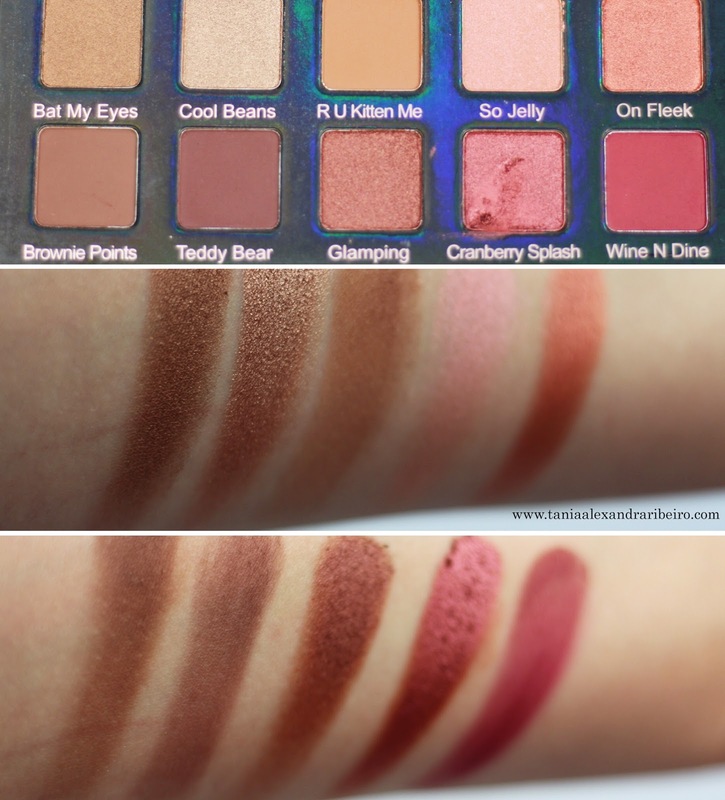 I’m super impressed in a palette of so many shades there’s not one I dislike and wouldn’t work on me. I personally think if you have blue/green you can’t go wrong in buying this. I always find these are the sort of colours that make my eyes pop. Overall I’m so glad I got this under the tree. Or do you plan on buying it? 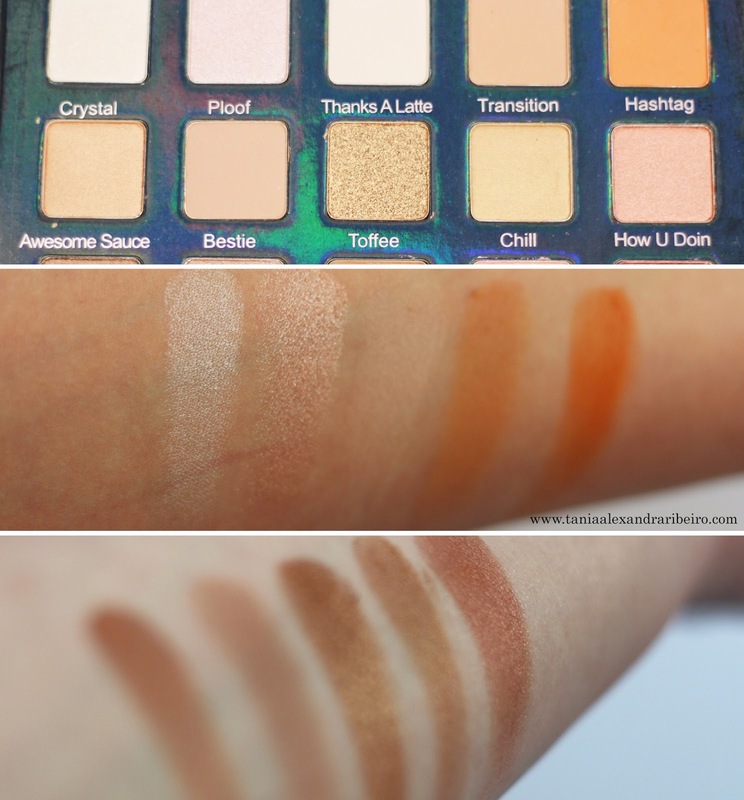 These are really lovely colours and so wearable for everyday, I can see why you love it! I can definitely see why you were reluctant to pay £90 though - steep for a palette! These colours look so gorgeous! I wish I could justify £90 though! This palette is so beautiful, dent or no dent! just beaut! The colours look like they swatch beautifully. I've wanted this palette for so long but still haven't had the opportunity to get my hands on it. How bloody beautiful is it?!?!?! I've been tempted to spend the money for this palette for SO long! Who is stocking it in the UK?!?! It's sooooo pretty and every single colour is perfect! I'm super jealous you have this! I'm lusting for it! The shades are beautiful and your pictures are making me want it even more! I can see why you love this palette, the colours are beyond beautiful. I'm a cheap skate so paying that much for a palette seems a lot for me! It does look realllllly gorge though! Lucky you to receive this from your daughter, at such a young age she has fab taste in prezzies hehe ;-) I love the name of the shades, R U Kitten me is fab haha! Thank you for including swatches as well, I find them so useful when deciding whether I should invest in a palette! Great post! Eeeep this palette is so beautiful!! I was lucky enough to get the Violet Voss x Laura Lee palette for Christmas and I'm so in love. Before this palette I was terrified of matte shades but this has completely and utterly changed my mind. 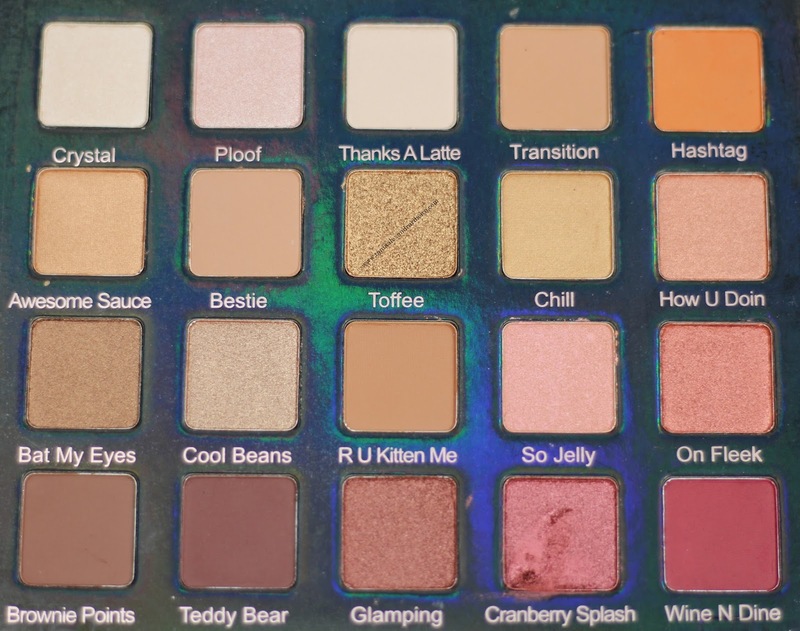 My birthday's coming up so this palette may be going on my list..! Oh my my, the colours look amazing in this palette! If I didn't already have about 5 other palettes I would totally get this, looooooove the colours! I'll have to convince the boyfriend that I 'need' it as a present ha! 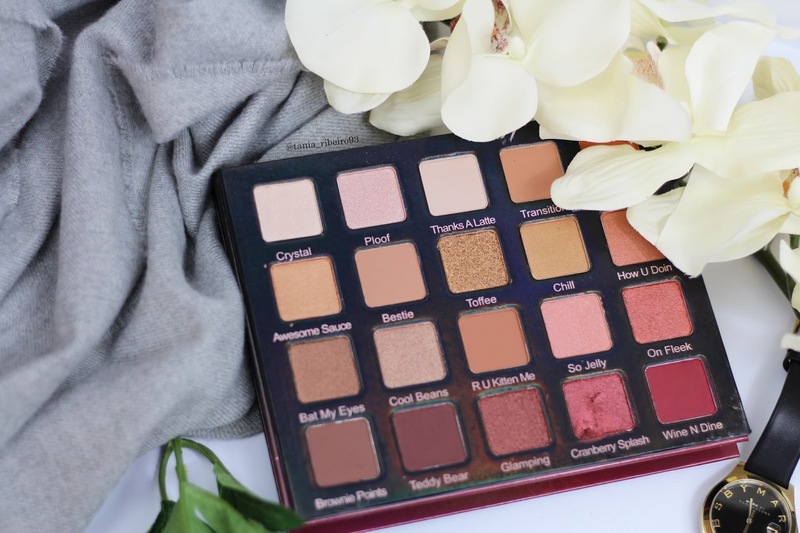 This palette is absolutely gorgeous and it would be a dream to own - lucky you! but I honestly don't think I could spend that much on an eyeshadow palette. The shade names are so cute, I agree! This pallete looks amazing but it is one which I don't know if I could spend £45 on but maybe it is one which I will have to hint to my other half about as well as the Naked Pallete.